As of Thursday, Juno is 18 days and 8.6 million miles (13.8 million kilometers) from Jupiter. On the evening of July 4, Juno will fire its main engine for 35 minutes, placing it into a polar orbit around the gas giant. During the flybys, Juno will probe beneath the obscuring cloud cover of Jupiter and study its auroras to learn more about the planet’s origins, structure, atmosphere and magnetosphere. The Juno spacecraft launched Aug. 5, 2011 from Cape Canaveral, Fla. JPL manages the Juno mission for the principal investigator, Scott Bolton, of Southwest Research Institute in San Antonio. 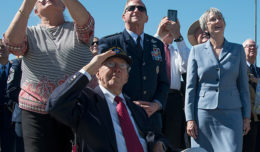 Juno is part of NASA’s New Frontiers Program, which is managed at NASA’s Marshall Space Flight Center in Huntsville, Ala., for NASA’s Science Mission Directorate. Lockheed Martin Space Systems, Denver, built the spacecraft. The California Institute of Technology in Pasadena manages JPL for NASA. 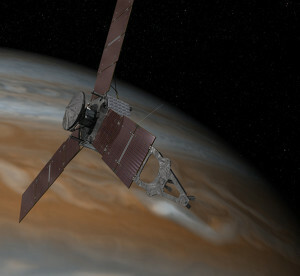 More information on the Juno mission is available at http://www.nasa.gov/juno. The public can follow the mission on Facebook and Twitter at http://www.facebook.com/NASAJuno and at http://www.twitter.com/NASAJuno.